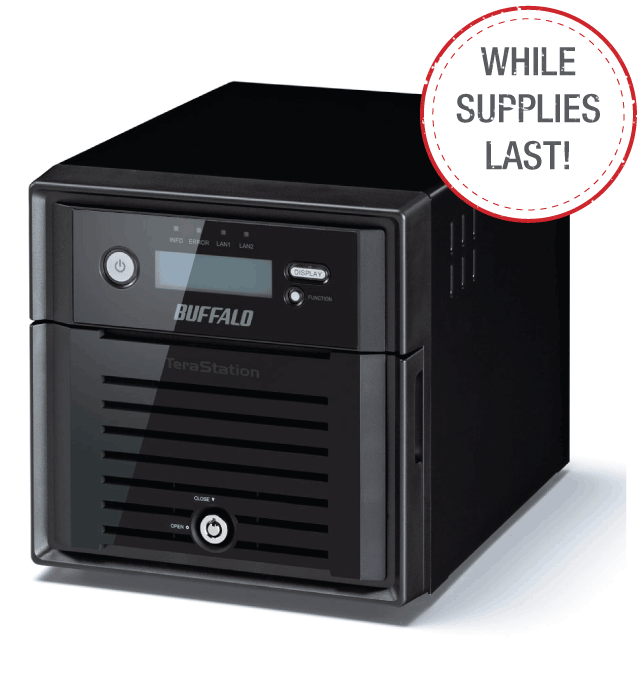 Buffalo's BS-GS Series of Multi-Port Gigabit Smart Switches offer an easy and cost-effective way to extend your business network at gigabit speeds with advanced management features. 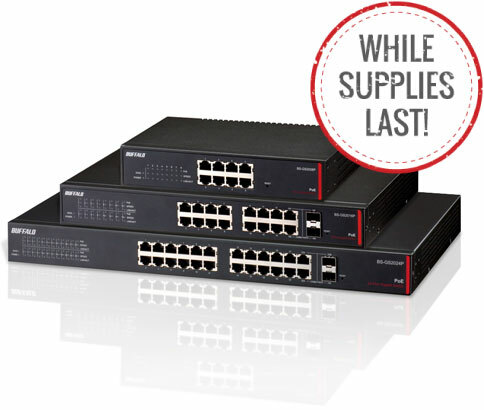 Plug and play installation requires no additional software or configuration; each auto-sensing gigabit port automatically detects and configures the correct connection while available SFP slots on the BS-GS2016, BS-GS2024 and BS-GS2048 models offer fiber connectivity. Jumbo frame support and full duplex operation provide maximum performance for a total switching capacity up to 96 Gbps on the BS-GS2048. 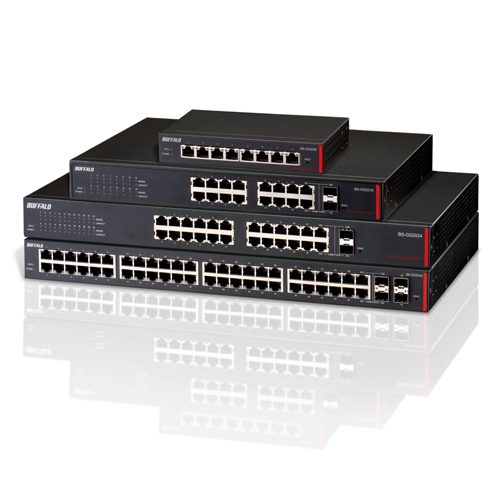 Buffalo's Gigabit Green Ethernet Smart Switches provide a host of comprehensive HTTP/HTTPS web-based network management features including VLAN, SNMP, port trunking/link aggregation, DHCP snooping, STP support and 802.1p QoS. Along with 802.3az Green Ethernet technology, the BS-GS Series includes an energy conservation feature that monitors the activity status of each port to reduce the total power consumed. 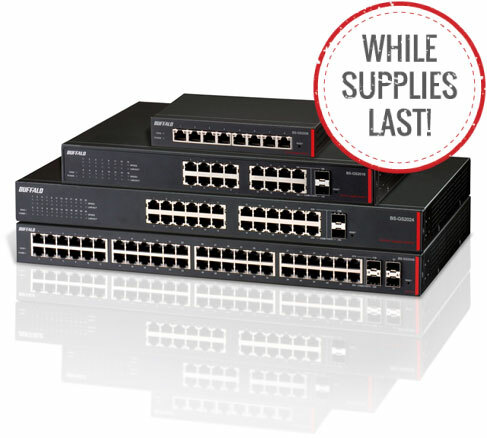 Gigabit speeds, eco-minded operation, performance-minded features and a lifetime warranty make Buffalo's BS-GS Series of Gigabit Green Ethernet Smart Switches a perfect network extension solution for your office. Buffalo's Gigabit Green Ethernet Smart Switches come with a compact and durable all metal chassis and are all but the 48-port model are fan-less which provides silent and reliable operation. Buffalo's lifetime warranty* ensures that you will never have to replace your switch due to defects. 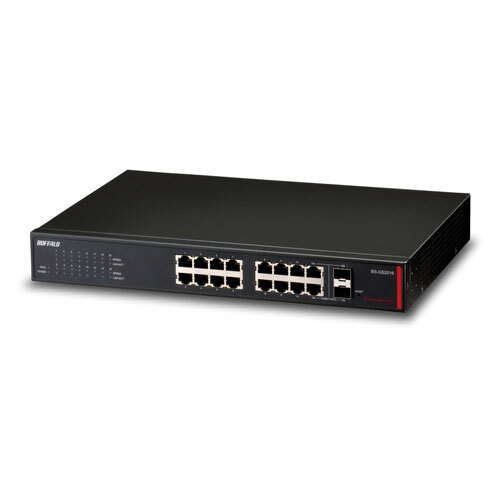 Integrates any Ethernet enabled device with plug and play setup including PCs, wireless access points, security cameras and VOIP phones. 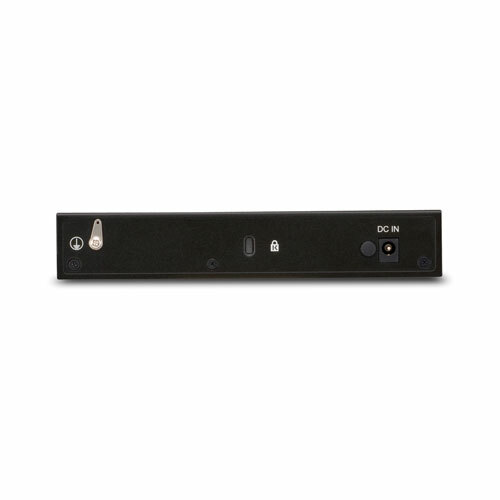 802.3az Green Ethernet technology monitors the link status of each port and only provides power to those that have a connected device that is powered on and puts transmitters into sleep mode when no information is being sent or received. In addition, the length of cable connected to each port is detected and the amount of power supplied is adjusted accordingly. All of these features add up to huge energy savings over traditional switches. Buffalo's Gigabit Green Ethernet Smart Switches come with a loop prevention feature which shuts down the port(s) where a network loop is detected.